New Zealand’s government has announced all oil and gas exploration offshore the country will be banned in a bid to protect New Zealand from the effects of climate change. The ban, however, will not extend to existing exploration projects. There are more than 30 active licenses in New Zealand at the moment, of which 22 are for offshore blocks. 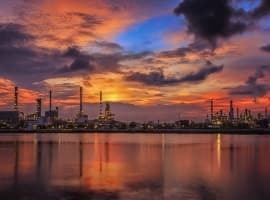 The country is far from a major oil producer, which will probably facilitate its transition to a carbon-neutral economy by 2050, before that achieving 100 percent renewable power generation by 2035. However, as Radio NZ notes, the holders of existing exploration permits will keep the right to turn these into production licenses, so theoretically, fossil fuel extraction in eco-friendly New Zealand could continue for another few decades despite transition efforts. Also, the ban does not cover onshore oil and gas exploration, so permit issuance for onshore blocks will continue. The energy industry slammed the government for banning offshore exploration while environmentalists praised it. The Petroleum Exploration & Production Association of New Zealand protested the lack of consultation with industry representatives before the decision was made, with chief executive Cameron Madgwick telling media "It shows a complete misunderstanding by the government of how our industry works ... these are multi-decadal decisions, there are people here today that are looking forward to the future and what that might look like for their business, the planning around that indeed the equipment that might be needed." Related: Will Mexico’s Next President Kill Its Oil Sector? 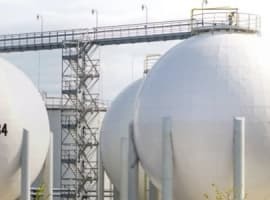 One of the country’s top energy companies, New Zealand Oil & Gas also said it had not been informed in advance about the decision, although it added the move will not affect its financial position immediately as it could continue with the projects it already has. New Zealand’s oil and gas production comes from the Taranaki region, in the northeast. The country usually holds a tender every year with the last two ones resulting in the awarding of one exploration block each.